The heated poultices, containing therapeutic herbs, which penetrate deeply when using rocking and rolling motions along the fibers of the muscles. Stretching is performed thereafter allowing the blood to flow back into the starving muscles further preventing knots to build back up. The entire body is then massaged paying special attention to the lower back and upper trap areas. 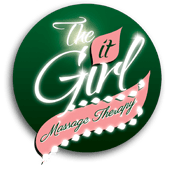 This massage is preferred by our clients who have pain in the lower back, glutes and/or sciatic nerve.